The Forest Peninsula Park on the outskirts of Shanghai is a new 14.6 ha. public park lying between two canals and designed to service a large new mixed use development. 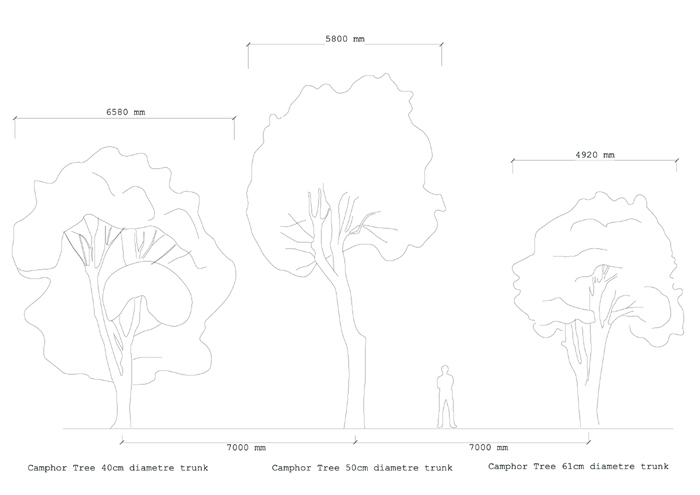 Dan Pearson Studio were asked to create a park using over 1000 mature transplanted camphor trees. 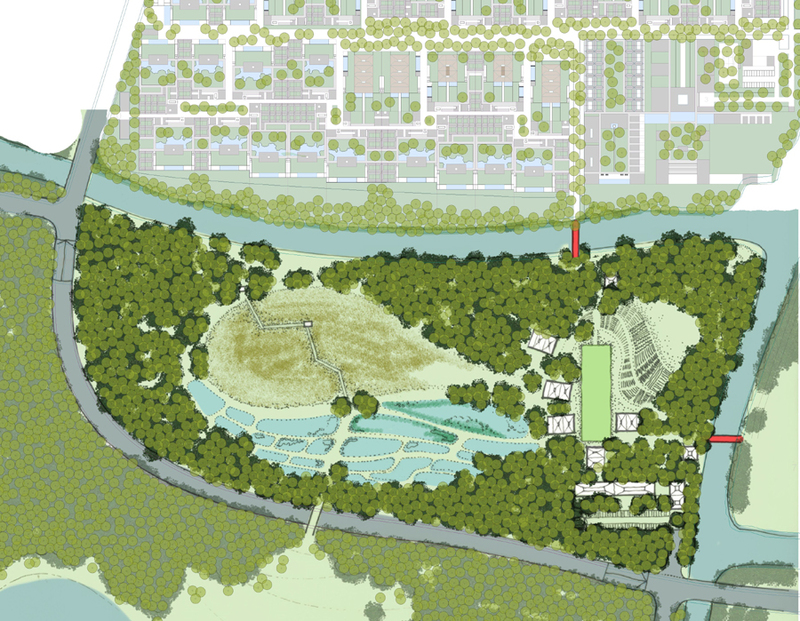 In addition to the forested areas the park will include water terraces, productive kitchen gardens, lotus ponds and a wet-grassland area set around a cultural centre. The canals are to be transformed into more natural meandering rivers to maximise opportunities for wildlife. Responsible for : Concept design and design development phases. Masterplan showing Aman Hotel and Club to the north. The park includes a wetland, water and allotment terraces. Camphor trees to be transplanted. Sketch section through river to cultural centre.